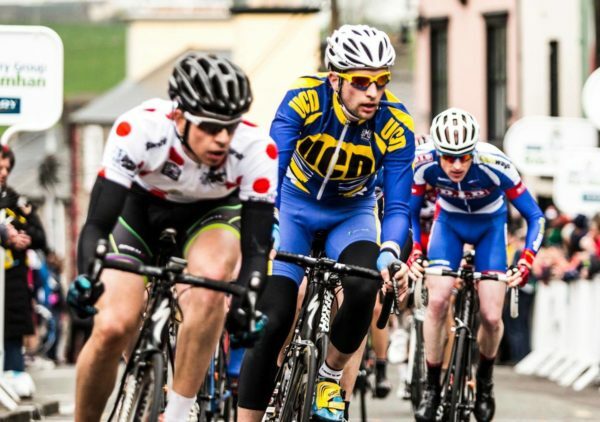 Defending champion Conor Hennebry tops the start list of this weekend’s Kerry Group Rás Mumhan with his Dan Morrissey-MIG-Pactimo team. And the way Hennebry and team mate Sean Hahessy have been carving up the spoils in recent weeks confirms them as the form men from the home scene going into battle in The Kingdom. However, they will be heavily marked and there are also plenty of Irish and foreign riders who can aim for stages and the overall victory. The Irish team in the race is a nice mix of U23 internationals and some of the domestic riders who have impressed on home roads so far this year. The line-up includes Ben Healy, who was 11th in Gent Wevelgem a couple of weeks back, as well as Irish junior champion Adam Ward, now winning in the elite ranks at home. And the Irish-based trio of Conor Kissane, Sean Moore and Matthew Sparrow can also press hard this weekend. It will be a special occasion for Kissane, who is earning a deserved first cap for Ireland and getting to debut for his country on home roads in Kerry. The Leinster team named for the race includes the outright race winner five years ago Mark Dowling. With him is a mix of formidable riders who combined may be the surprise team package of the weekend. Dowling is in the team with track international Fintan Ryan, worlds and Europeans track championships medal winner JB Murphy and Lucan CRC duo Dermot Trulock and Cian May. Of the home challenge, other names that jump out of the start list, below, include: Damien Shaw (Strata 3-VeloRevolution), Charles Prendergast (Castlebar CC), Paul Kennedy (Newcastle West), Jamie Blanchfield (Panduit Carrick Wheelers) and team mates Dillon Corkery, Luke Smith and Conor McCann. The squads from abroad include Active Edge Race Team, Holohan Coaching, Ribble Pro Cycling, Zero BC and Surrey League. Regular visitors Combilift-West Frisia from Holland are back again this year. Its selection includes last year’s stage 2 winner Wouter Been and sprinter Matthew Overste who competed at Continental level last year. Note: In the start list below riders marked with an ‘x’ are U23s.